For upgrading a kitchen zinc range hood is a perfect choice. Since metal has natural color, the hood made of zinc can be used with any style furnishings. Often, smooth surface pewter is used for contemporary spaces. Hammered range hoods look good in rustic and traditional kitchens. Some appliances are decorated with straps and rivets. Each product page offers options for width, finishing and 200CFM vent system. If a stronger linear insert is needed, we can customize the hood for any manufacturer's brand equipment. Available finishes are natural or rustic dark which is antique or vintage looking. Buy Rustica House zinc range hoods for a gas and electric stove with oven with confidence. 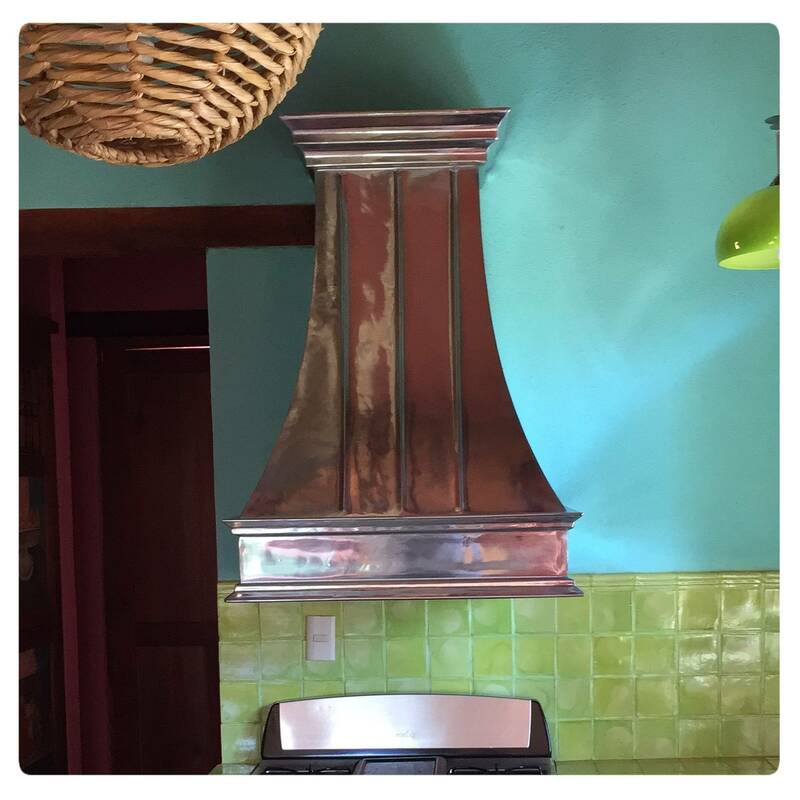 We are a manufacturer specializing in antique wall and island zinc range hood production. Zinc Exhaust Discounted Hood 48"
Zinc Range Hood "French Country"
Zinc Range Hood "Los Angeles"
Zinc Range Hood "New Mexico"
Zinc Range Hood "New Yorker"
Zinc Range Hood "San Diego"
Zinc Range Hood "San Francisco"